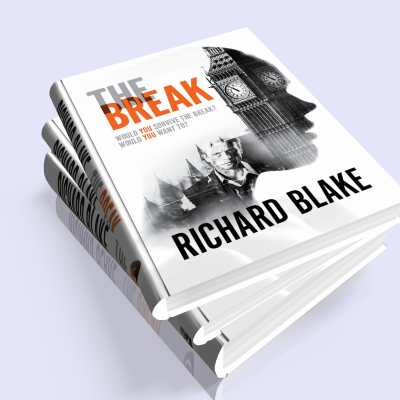 Richard Blake is the best selling author of many historical novels as well as alternate history thrillers. Richard Blake is an English writer, broadcaster and teacher. He lives in Kent with his wife and daughter. 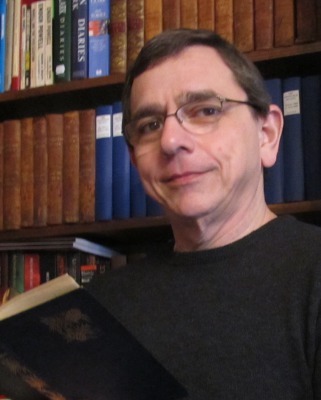 For Hodder & Stoughton, he has written the following six historical novels: "Conspiracies of Rome" (2008), "Terror of Constantinople" (2009), "Blood of Alexandria" (2010), "Sword of Damascus" (2011), "Ghosts of Athens" (2012), "Curse of Babylon" (2013). These have been translated into Spanish, Italian, Greek, Slovak, Hungarian, Indonesian, and Chinese. In 2015, Hodder & Stoughton republished all six novels in two omnibus volumes: "Death of Rome Saga 1" and "Death of Rome Saga 2." He also writes for Endeavour Press. His first historical novel for Endeavour, "Game of Empires," was published in May 2015. His next in this series, "Death in Ravenna," was published in August 2016. His latest, "Crown of Empire," was published in April 2016. In April 2016, Caffeine Nights published his post-apocalyptic science fiction thriller "The Break." As Sean Gabb, he has written these novels: "The Column of Phocas" (2006 - historical), "The Churchill Memorandum" (2011 - alternate history thriller, A further novel, "The York Deviation" (alternate history fantasy), is awaiting publication. It’s Wednesday the 7th March 2018 – in the mainland UK. Everywhere else, it’s June 1065. No one knows what caused The Break eleven months ago, but there’s no sign of its end. England is settling into its new future a reindustrialising concentration camp. Jennifer thinks her family survived The Hunger because of their smuggling business – tampons and paracetamol to France, silver back to England. Little does she know what game her father was really playing, as she recrosses the Channel from an Impromptu mission of her own. Little can she know how her life has already been torn apart. Who has taken Jennifer’s parents? Where are they? What is the Home Secretary up to with the Americans? Why is she so desperate to lay hands on Michael? Will Jesus Christ return to Earth above Oxford Circus? When will the Doomsday Project go live? Can the Byzantine Empire and the Catholic Church take on the British State, and win? All will be answered – if Jennifer can stay alive in a post-apocalyptic London terrorised by cannibals, by thugs in uniform, and by motorbike gangs of Islamic suicide bombers.